The most impressive image for us when walking along windsurfing camps in Central Vietnam is that surfing girls have beautiful bodies, firm to each muscle. Anatasia, Russian nationality, said: “I was very fat because of stress at work. So the husband quit because he was fat and angry. Going to Vietnam for summer vacation and playing kite surfing, I love and stay all year long. Summer in the North Sea, the sea in Da Nang and Nha Trang (Vietnam) in winter, I reduced to 30 kg, white skin “sick” now turn to brown. Practicing in Vietnam is very interesting but not available, learning a lot of techniques. Most importantly, I’m fat, out of stress and happy with my friend who plays windsurfing. Great!”. Not only foreigners, Vietnamese girls are also eager to explore this amazing sport. Thu Hoai, a public servant living in Da Nang, expressed: “The more I play, the more I am attracted to it. 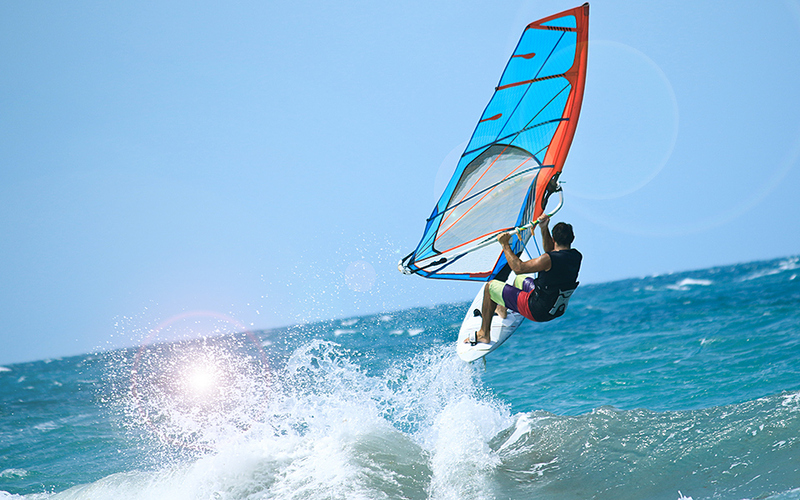 It’s great to be free in the air, master the waves, the wind that creates the inspiration, passion for creating acrobatics, new and beautiful windsurfing displays. Feeling the wind blowing on your face, watching the waves, white bubbles, you will have great experiences. Therefore, our team always takes advantage of weekends to enjoy the waves. Among the “United” “kite” kite-surfing camps, stretching from Da Nang to Nha Trang, Vinh Hy bay… there are hundreds of kite-surfing people from all over the world gathered. They choose Vietnam as a destination because they like the beautiful beaches here with a climate suitable for kite surfing. Shin Min-hwa, a Korean girl who plays surfing for 10 years, said: “I really like surfing kites in Vietnam. Your country has wonderful beaches. I believe there will be many people coming to Vietnam to satisfy this exciting sport ”. Mr. Tuan Tu, a kite surfing coach in Da Nang, said: “The kite player here is growing exponentially. Most young people want to discover the great feeling that this sport brings. However, players in Vietnam only play according to the movement, self-discovery is the main, so it is necessary to have official tournaments to help this exciting sport grow stronger.